To direct, and manage End to End operations of IP-Transport services offered over Mobily’s IP infrastructure for mobile, fixed and business providing multiple services through multiple functions in order to maintain the customer experience and satisfaction by providing high quality services with constant availability, optimal functionality and performance of IP transport network. 1. Contribute to the achievement of the strategic objectives of the sector through performing own responsibilities and managing direct reports performance. 2. Set the department’s goals and objectives and ensure the cascading of such to reporting sections, and guide their achievement. 3. Contribute to the development of the sector’s policies, procedures and processes through providing input as advised by the direct supervisor. 4. Provide direction and advice to the direct reports in performing their delegated responsibilities. 5. Ensure the ongoing development of the department’s employees, and assure the developmental activities of direct reports. 6. Oversee the overall performance of direct reports and ensure KPI’s are well communicated and monitored. 7. Ensure effective identification, allocation and utilization of the division’s resources. 1. Oversee the IP-Transport Services over Mobily’s IP infrastructure (Core, Access, business) for mobile, fixed and seamless providing multiple services through multiple functions to ensure maintaining constant availability, optimal functionality and overall performance of Mobily’s transport network. 2. Manage the day-to-day operations for IP-Transport network ensuring that operational processes are implemented as designed and comply with established standards and procedures. 3. Review and approve development and implementation of IP-Transport Services operation standards, procedures and guidelines. 4. Recommend tools and resources developments to improve operational excellence and quality standards of IP-Transport service operations to meet Mobily quality objectives and global in coordination with the Technology Assurance and Performance Management team. 5. Work with different parties internally and externally to develop an evaluation framework to assess the weakness of the IP-Transport network and identify areas for improvement and manage action plans regarding risk identified, if any. 6. Work with the Transport Design and implementation teams to ensure the quality of IP-Transport network implementation during IP-Transport network project acceptance/handover in line with Mobily standards. 7. Ensure effective monitoring and supervision of Mobily IP-Transport network operations and maintenance by managed services providers and vendors and manage the execution of penalties for SLA/KPI violations. 8. Participate in analysing network statistics providing technical guidance in troubleshooting activities ensuring quick service restoration and proper mesh network rerouting to reduce the traffic impact. 9. Ensure that information security and risk management are embedded within IP-Transport network and to coordinate security and compliance risks related to information systems and assets. 10. Recommend major changes and enhancements to Mobily IP-Transport network such as software and hardware upgrades and planned outage requests that affect the live network operations. 11. Provide leadership to manage demands from projects and technology upgrades including recommendations for vendor tools/solutions and global alignment of networks. 12. Coordinate with the planning and design to manage software versions, upgrades, compatibility, and maintenance and help ensure proper adherence to procedures and compliance to change management and configuration management units’ guidelines. 13. Oversee and guide the implementation of effective fault management activities (including testing, diagnosing, repairing the network when faults occur) on Mobily IP-Transport network. 14. Manage Cost Savings on allocated IP Transport Operational Budgets/OPEXs as per Department Target. 15. Control IP Transport Operational Budgets and OPEXs with expected network expansion to meet business requirements. 16. Report to line management with regards to anticipated costs, areas of any unsatisfactory performance and potential performance improvement opportunities. 17. Perform any other duties and responsibilities related to IP-Transport operations as designated by the line manager. - Bachelors in Computer Engineering/Telecom Engineering or equivalent from an accredited university. - Good knowledge of mobily networks and infrastructure. - Good knowledge of IP/MPLS network operations. 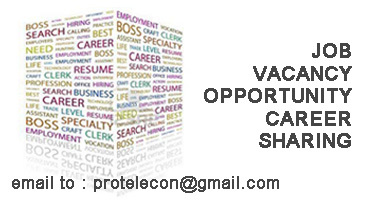 - Good knowledge of Transport Technologies (IP/MPLS, & Transport optical technology). - Good knowledge of IP Service Order Management. A minimum of Ten (10) Years’ experience in related profession (Management and Telecom) working with various aspects of Transport network and infrastructure implementation and network operations with at least Four (4) years in a managerial role.